Today we the kidlets and I were chatting about wants and needs. We had a bunch of pictures, and had to figure out if they were wants or needs. The last picture in the pile (I didn't set it up, but it worked perfectly), was a heart. Is love a want or is love a need. Some children said that love is a want, because you would still be alive even if you were not loved. After a bit of conversation, one girl spoke up: we need love, because if we are not loved, we will not learn how to love other people. That settled it. Love is a need. We need to learn how to love. Then we can love other people. That's what grandparents are for. Grandparents are celebrated in this beautiful picture book. Our grandparents love us. They give the biggest hugs and hold our hands. In the foreword, Archbishop Desmond Tutu states the overall theme of the book - grandparents receive the gift of seeing the world, once again, through the eyes of children and have a responsibility to teach their grandchildren "Love. Compassion. Integrity. Perseverance." Clear, colorful photographs show the two generations engaged in a variety of activities and invite careful observation. The pictures are clearly labeled with the name of the families' countries and highlight common threads, e.g., "listening," in Tibet, India, Mexico, and USA. Spare text defines the actions represented. The book concludes with "Five Things to Do with Your Grandparents." 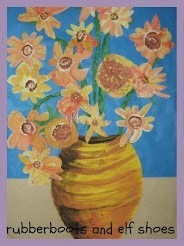 The loving bond between all the grandparents and grandchildren is the unifying theme of the book. And then the differences are celebrated. The photographs show grandparents and their grandchildren from countries all over the globe, showing different ethnicities and cultural backgrounds, all engaged in a variety of activities. I know that the love, compassion, perseverance and integrity that Desmond Tutu hopes children learn from their grandparents does not always abound in families or extended families; I believe that it it worth celebrating where it exists and nurturing where it has yet to bloom. Talking about families is a springboard for my kidlets to make a family tree with their families, and then bring it back to show the class. In the past, I have sent the kidlets home with materials to make the traditional brown trunk on blue background with fall coloured leaves. This year, I might shake it up a bit. I like that this trunk has a place for the child's picture. Then you add the leaves. I really like the hands for leaves. Photojournal-type pic books are fascinating to me. Thanks for sharing this title! Love IS a need, without we wouldn't love books like this. I'm disappointed it's not listed in VIRL but I'll find it. I have many grandparents visiting my program and we need to cherish that family connection and show our appreciation for all they have to offer. Maureen, this a perfect book to have at a StrongStart Centre; it really celebrates the love between grandparents and their grandchildren. I bought my copy at a cool little book store in Oregon. Hopefully Chapters has it. 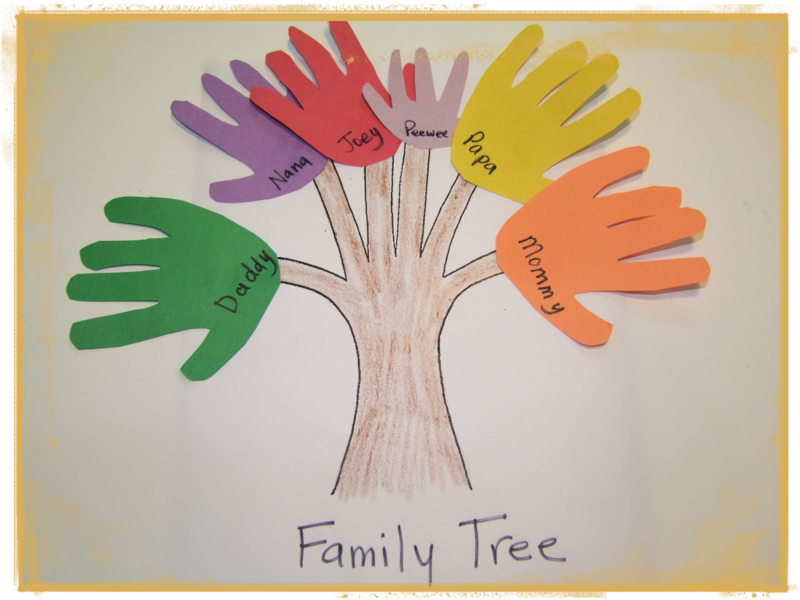 Lovely pick - and I really like the 'hands on' family tree too! I LOVE this. There are so many studies that show that love is a need. Children fail to thrive without it despite having all their other needs met. 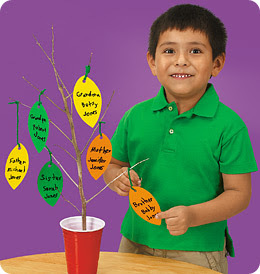 I think it would be cool to share how family trees are different like real trees. Some have more than 4 grandparents. Some have less. Some have lots of siblings (leaves), some have none. We read Todd Parr's The Family Book, and then show our family trees. It is cool to see the different families. And that love is the main ingredient, whatever our family make-up. 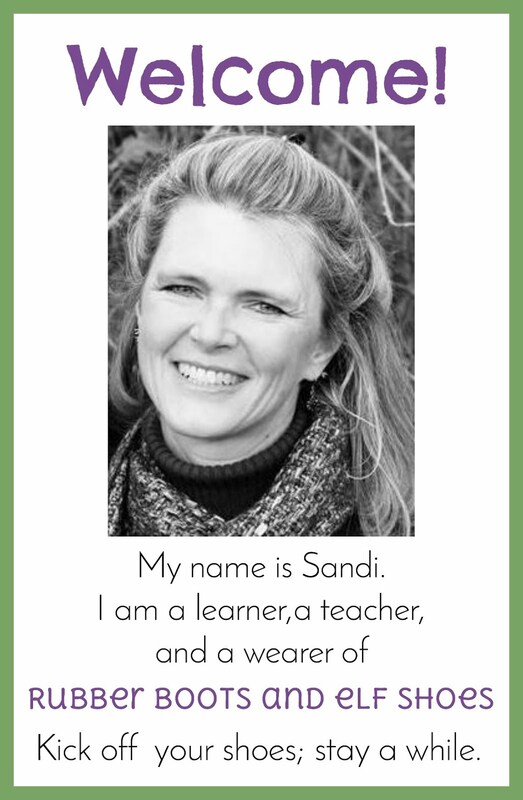 This book sounds just wonderful, Sandi! I'm so glad to be adding a book that celebrates grandparents to our list. But wow! You've got some smart kids in your class. Imagine a kindergartner realizing that without love you wouldn't learn to love - that's amazing. What a great discussion! Perfect choice for the Thanksgiving season when we are all looking for books that spotlight family closeness. 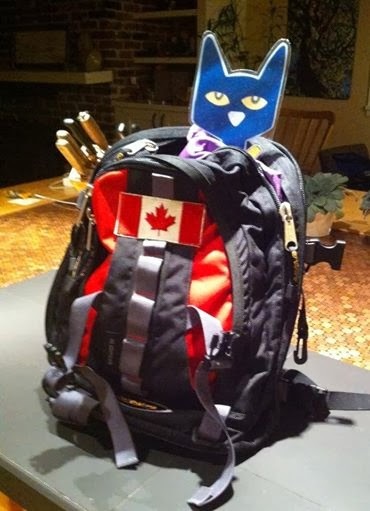 :) Thanks so much, Sandi! Sandy, this is a beautiful story. I'm going to use your discussion idea tonight at church and request this on my wish list. The opening lines are beautiful! This sounds like an awesome book. Thanks for bringing it to my attention.